Banks have transformed their internal processes and customer interactions by embracing the latest digital technologies. 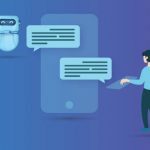 With rising smartphone usage and increasing customer expectations, it has become imperative to build intelligent digital properties by adding artificial intelligence and next-generation features. One of the key game changers in the Banking Industry is going to be AI. A PwC report has stated that 70% of financial institutions are planning to invest in Artificial Intelligence in the near future. Mobile banking solutions have already been introduced by almost all the banks, however they haven’t yielded expected returns in terms of customer adoption and incremental digital transactions. Introducing AI like chat assistants, personality insights, offers based on behavioral patterns would make the banking app smarter and increase adoption significantly. Banks are still figuring out key areas that can benefit with artificial intelligence. Embedding AI Features in existing apps reduces customer response times and drives bank advisor productivity by helping them arrive at decisions faster. 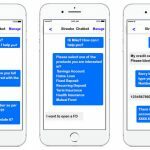 Chatbots can improve your customer service by answering basic queries of users at a personal level. 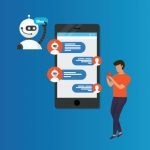 Generally, FAQ’s can be fed to chatbot platform that can answer customer queries without the user having to navigate the website for finding the apt response. Automating repetitive or commonly recurring customer requests is essential to drive customer engagement and reduce response times. Some banks have taken these bots to the next level, helping users know their current balance or apply for loans by using machine language and integrating the bot to existing core banking system. Bank of America has implemented a virtual assistant called ‘Erica’ to drive customer engagement. Marketing teams of banks can identify the latest interest area for customers by studying user patterns and identifying industry trends. Customers sentiments on comments, Facebook pages and other social media platforms can help in better reputation management and understanding the pulse of your users. Customers have many patterns in using their apps. They are prone to make fund transfers towards the start of a month and there are specific buying patterns during festive seasons. With pattern analysis and machine learning, banking apps can push relevant offers and personalize notifications, driving usage and increasing value to customer. One of the key concerns that plagues IT managers while implementing banking apps and incorporating AI are security hassles. Identifying suspect behavior and checking fraudulent transactions becomes easier with automated technology like Robotic Process Automation and implementing AI features like behavioral pattern analysis. Artificial Intelligence systems are highly accurate in understanding money laundering schemes and suspect patterns. Banks that will embrace artificial intelligence are more likely to succeed in the coming years. Artificial Intelligence must be viewed as a means to make your customer and employee tasks easier and helping them make more intelligent decisions. Decision makers at large banks should spend their time identifying processes that can be transformed using artificial intelligence. Embedding the selected artificial intelligence features in your banking app is now very easy with Streebo’s mobile banking application development expertise. If your bank is looking to drive customer engagement and increase transactions with artificial intelligence features, Streebo’s Banking expertise is all you need.